The Toledo Ohio Ghost Hunters Society has investigated several locations in downtown Sylvania, Ohio. These Haunted locations could be linked to the murder of Olive Ward, she was the wife of Ohio’s first known serial Killer Return Johnathon Meigs Ward. Stay tuned for the entire story! Share it with your friends! While visiting downtown Houston, we came across many different restaurants, one of my favorites among them is also one of the most haunted places in Houston, the now closed Spaghetti Warehouse. It was not always the Spaghetti Warehouse. The building was originally the Desel-Boettcher warehouse, built in the early 1900s, the building that now houses the Spaghetti Factory once housed fur pelts, it was also a produce warehouse and pharmaceuticals warehouse at one point. and was bought by the Spaghetti Warehouse in 1974. It was furnished with antiques amounting to millions of dollars; a full-size Houston Avenue trolley car; a chandelier from New York’s Penn Station and a grandfather clock from one of England’s many castles. It has two floors of dining and is the second largest and second busiest restaurant in the chain after the one in Columbus, Ohio. The ghosts that are believed to haunt the second floor of the restaurant today both suffered horrible fates. One of the most popular ghost tales of the Spaghetti Warehouse centers around a young pharmacist who was very dedicated to his job. One night he was very busy and had a pile of paperwork on his desk. He grabbed a stack of papers and headed back to the elevator. He was a bit careless and stepped into the dark without looking and he fell to his death when he stepped into the open elevator shaft instead of the elevator. When he did not return home from work, his wife began to worry. She went to the warehouse in a hurry to find her husband only to see a group of people standing around the building and talking about the tragedy which had just taken place. Inside the warehouse, the wife found the remains of her husband crumpled at the bottom of the elevator shaft. She was so traumatized by his sudden death that she also died a year later. It is said that their grief-stricken souls haunt the area of the vast restaurant. She is said to rearrange furniture, leave the dishes and silverware in disarray, tap guests on their shoulders and pull their hair. Diners have also reported seeing objects floating and unexplained cool and clammy breezes. Restaurant employees have their own fair share of ghost stories and most of them are too afraid to venture upstairs. One waitress said she saw a floating wicker basket near the wooden staircase and she watched as it was gently set back down to the ground. She also reported hearing her name being called from an empty room. Another waitress was attending to guests when a bottle of wine was lifted from the table, floated through the air and landed upright. Haunted Rooms, for some of the history and legends. This hotel dates back to 1926, but has had several names – “Martha Washington Hotel,” “Heritage Hotel,” and now, most recently, “Hotel Indigo”. A 1987 renovation seems to have led to the appearance of a ghostly little girl, seen skipping around on the third-floor landing. Later, the figures of an older man and a woman in a wheelchair were seen in the lobby. One visitor has said that his daughter befriended the ghost girl during their vacation, and that he saw the dead girl in his daughter’s room for a month following their stay. The ghost reappeared back at the hotel once the man commanded she leave his daughter alone. TOGHS members Harold & Becky had a chance to spend a night in the Haunted Indigo this past week, Although we didn’t encounter any paranormal activity during our stay, we did have a pleasant stay and wanted to share some of our photo’s. If you’ve had a paranormal experience here, or have any additional information about this location, please let us know! The Haunted Florida Renaissance Vinoy Resort in St. Petersburg. Stories have become so legendary that even some skeptics have started to scratch their heads.” TOGHS members Harold & Becky had the opportunity to stop by the Vinoy while in St. Pete’s. Hope you enjoy some of the pictures we took while visiting. The Haunted Florida Renaissance Vinoy Resort located in the City of St. Petersburg is rumored to be one of the largest portals for paranormal activity in the region. Throughout the history of the structure, it has been known by many names. The two most popular are the “Vinoy Park Hotel” and simply, “Vinoy Hotel”. Constructed in the popular architectural style known as “Mediterranean Revival”, this historic location was officially added to the register known as the “U.S National Register of Historic Places” on the 11th day of September in the year of 1978. Many notable individuals have lodged at this haunted Florida hotel. Examples of these individuals include Marilyn Monroe, Calvin Coolidge and a wide assortment of sport players such as Babe Ruth. Throughout this guide, you will learn important facts about this haunted Florida structure and why it is considered to be one of the most intriguing of all haunted places to go in the Sunshine State. One of the perks of running the Haunted Toledo page, apart from collecting strange tales and unusual experiences from all over Ohio, is the all-access opportunity to explore the very locations where these stories are said to take place. Last Saturday, March 11, I had just such an opportunity. Tony Packo’s Cafe has been a Toledo tradition for most of its existence, and long before Jamie Farr made the restaurant world-famous through frequent mentions on the popular TV comedy, M*A*S*H.
Tony Packo started on the journey towards success in 1932 with a $100 loan from his family. What started as a sandwich and ice cream shop quickly grew into the iconic restaurant we know today. But, few realize Packo’s may have more to offer its guests than just one of their popular Hungarian hot dogs. You might also have a chance encounter with one of the many spirits which are said to wander the building. Over the years, employees have reported witnessing fleeting apparitions of black, shadowy form and figures. These mysterious entities are most often seen in and around the gift shop. In fact, their appearance is so realistic that one employee thought he saw someone browsing the gift shop. When he hurried over to take care of the customer, he found there was no one there. The same types of shadowy figures have also been spotted in the basement, near the gift shop’s stock room. One evening, while working in the stock room, an employee caught a quick glimpse of a dark form standing just outside the stock room door. It looked as if it was peeking around the corner watching him. Shadowy figures aren’t the only ethereal guests inside this historic restaurant. Some twenty years ago, another employee claimed to have seen the phantom of a young girl playing in the basement. Who she was, no one knows. At this time it’s not fully known how or when the tales of supernatural activity got their start here. There was a murder, an intense crime of passion, on the second-floor long before Packo’s expanded into that part of the building. Are all these entities somehow tied in to that tragedy? A few years ago, the restaurant was investigated by Fringe Paranormal. According to an article published on their website, they didn’t walk away with much of anything that could be considered evidence of the paranormal. I had hoped a new investigation might uncover something. Last Saturday, I teamed up with the Toledo Ohio Ghost Hunters Society and the 222 Paranormal Podcast to see what we could dig up. As we waited for the last remaining customers to filter out and the employees to finish closing up the restaurant for the night, we all sat and talked with Jim Beard. Jim runs the gift shop and on more than one occasion has been witness to whatever may be haunting the restaurant. Mr. Beard is steadfast in his claims and I fully believe him when he describes the types of things he has witnessed. Investigative sessions were conducted throughout the night in various areas of the restaurant with the primary focus being on the gift shop and basement. The entire dining area, the gift shop, as well as the basement were covered by IR cams, laser grids, and other types of detection equipment while investigative teams led by 222 and TOGHS attempted to make contact and record EVP. At this time, several gigabytes of audio and media files are still being reviewed and scrutinized. I’ll post what we find as it comes in. TOGHS Founders Harold St John & Butch Leon had an opportunity to instruct a Ghost Hunting 101 course this spring at Owen’s Community College in Perrysburg, Ohio. On our last day of class past Thursday evening, March 9th we scheduled a fieldtrip to the Flying Rhino Coffee. This building had been previously investigated by another local paranormal team. I was given this location by the same team. Becky and I set up an interview time and the opportunity to meet the owner of the building a week before the investigation time, we arrived in the late morning and was greeted by the owner Gini Behrendt. We were both welcomed in as if we have been lifelong friends, Gini was very friendly and full of life, and she glows with positive energy. We spent an hour touring her building and listening to her stories from the past as well as the present. I was saddened to hear of the passing of her husband Ralph. He was as energetic as Gini and helped keep the building full of life. I was particularly interested in his glass blowing profession and the hundreds of people that came to watch him work his skills. By the time we finished our interview and visit, this was the perfect place for our class investigation. 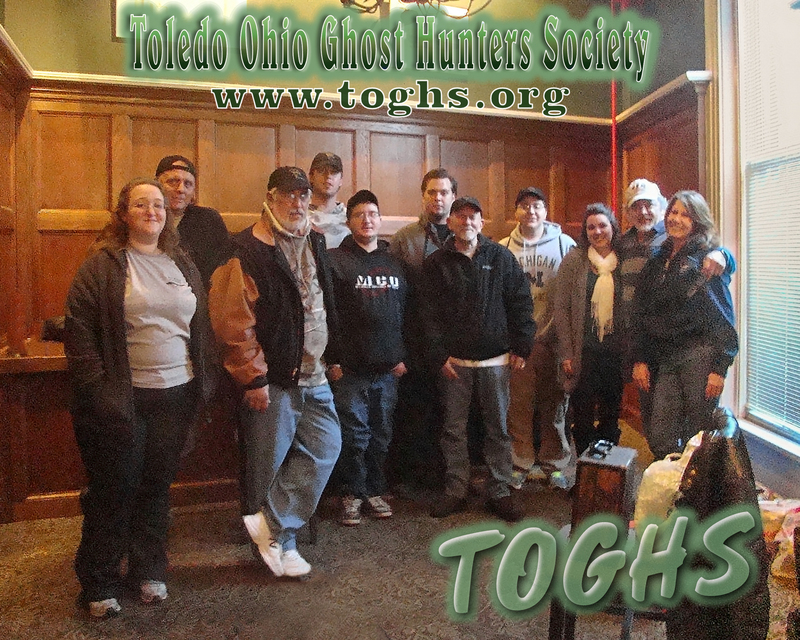 Chris Tillman from Haunted Toledo worked with TOGHS on this investigation as one of our lead investigators, we had twenty students that needed to be paired up into three groups. With Michelle, Butch and Chris taking the leads. The students were able to hone the skills that they had learned in the classroom and experience an investigation first hand. The evening was huge success and Gini could not have been a better host. We will post any evidence that was documented in our evidence page once the analyzing process is complete. I wanted to share the story written by our friend Chris Tillman from Haunted Toledo. Nobody could have summed up the story better than he did. In the annals of Ohio legend and folklore, it’s a rare thing to come across a place like Flying Rhino Coffee in downtown Toledo. It’s a non-descript building sitting in the shadow of the bright Toledo skyline. The cold, industrial feel of its exterior, and of the urban neighborhood it rests in, contradicts the warmth you feel when you walk through the front door. Once inside, you find yourself in an inviting, modern space and greeted by the cheerful, welcoming face of Gini Behrendt, owner of Flying Rhino Coffee. Longtime followers of Haunted Toledo are used to hearing tales of headless phantoms, hanging corpses, murder, mayhem, and all sorts of horrific acts so this entry is sure to be a different change of pace. Flying Rhino Coffee, you see, isn’t haunted by fear and terror. Instead, what we have here is a love story that just didn’t want to end. Ralph Behrendt was a life-long Toledoan. When he retired from middle management at Champion Sparkplug, and with the help of his wife, Gini, Ralph started Flying Rhino. In December 1999, the couple started down the path of becoming one of Toledo’s more popular coffee-roasters and chocolate-makers. Ralph and Gini brought a positive energy to everything and everyone they touched. Customers became friends and friends became family. The optimism and joy surrounding the Behrendts was contagious. No matter what mood you were in when you stepped into the Flying Rhino, you were leaving with a feeling of positivity, and you had the Behrendts to thank for it. So, when news of Ralph’s sudden death spread throughout the community, it felt as if you had lost a member of your own family. It happened on a Sunday in June of 2014 as Ralph was outside getting dinner going on the grill. He remarked about feeling a sharp pain in his back passing through to his chest, and then, without warning, he collapsed. Ralph Joseph Behrendt, age 65, died of a massive heart attack on the patio area outside of Flying Rhino Coffee. Gini kept on with the business, still bringing her special brand of happiness and positive energy to each customer. In fact, over the last couple of years, customers began coming forward to share with Gini how energizing it was just to be inside the building, especially in a room that Gini now refers to as “the Happy Room.” They couldn’t help but feel completely relaxed and at ease while there. Gini’s curiosity eventually got the best of her and she began to question what was going on. What were her customers experiencing? Was this the influence of her late husband? Over the past few weeks, Harold St John of the Toledo Ohio Ghost Hunters Society had been teaching a class on paranormal investigation, titled “Ghost Hunting 101,” at Owens Community College. When the time came for a class field trip to an allegedly haunted location to give his students a taste of an actual investigation, Harold approached Gini for permission to investigate her business. Gini, of course, welcomed Harold and his students with open arms. The investigation took place this past Thursday evening, March 9th. I arrived to find Harold and his crew setting up for the evening’s investigation as his class filtered in to the Happy Room, each one cheerfully greeted by Gini as they passed through the front door. After a brief bit of classroom business, Harold offered the floor to Gini who told us about the history of the building, her business, and her husband, Ralph. We heard about the kind of man he was in life. And, we learned the mystery surrounding this location was not about phantoms and mysterious noises in the dark. It was about the influence of a man whose very energy, his love and joyfulness, had never left the building. When it was time to go dark, a variety of ghost hunting gear was passed out and the students divided up into groups. Haunted Toledo led a group down into the building’s basement while other groups focused on the Happy Room and a woodworking room near the front of the building. In the basement, we encountered some unusually high EMF readings. Attempts were made to determine what was causing such high measurements, but no man-made source could be found. I ended the evening holding an EVP session in the Happy Room with a different group of students. A REM Pod had been placed on the table in front of us. A few minutes into the session, the Pod began to trigger. First one light, then two. It triggered for a few seconds and then when silent. When I asked if Ralph was responsible, and if he could do it again, the REM Pod triggered again. Was this really Ralph, or was it something else entirely? I don’t know. But, the people who knew Ralph, especially his wife, Gini, don’t seem to need blinking lights and beeping buzzers to know he is still there inside Flying Rhino from time to time, continuing to spread his good cheer and positive energy from beyond the grave. Is Flying Rhino Coffee haunted? I don’t know. But, if it is, it’s the kind of haunting anyone would be happy to live with. This course is designed to give you a deeper insight into the world of paranormal investigation. Essential characteristics of a paranormal investigation require a cautious approach backed up with scientific methodology. Learn best practices for ghost hunting, investigating, reviewing evidence and presenting evidence to your client. 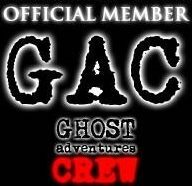 Learn from real professional paranormal investigator Harold St. John, founder of Toledo Ohio Ghost Hunters Society. We will study the different types of haunting’s, a typical case study of a “Haunting”, the essential investigating equipment, the investigation process and how to deal with the aftermath of an investigation. Students will learn by hands-on use of equipment, proper investigation documentation and safety protocols. The class will end with a field trip to hone the skills you have learned. The land that the castle was built on was previously the site of an English/German church. At some point in the late 1800s, the church disputed over which language to speak during worship services. The English won the dispute. The Germans decided to dig up the bodies of their relatives buried in the cemetery and re-inter them to another location down the road. Not long after, the church mysteriously burned to the ground. The current owners of the site have been plagued by fires ever since acquiring the property in 1991. A children’s book factory on the property burned to the ground in 1992. The facility moved to another location where they also experienced strange fires. It was later burned beyond repair. The on-site restaurant burned down on the castle property in 2007. None of the fires were officially solved. Some believe the land is cursed. Guests of the resort have reported seeing a girl wearing a blue dress in the graveyard. People have reported hearing crying in the cemetery and pool building at night. The pool building was built where the church originally sat. Guests have also reported seeing Civil War era soldiers in their rooms. TOGHS has visited the Castle and the surrounding grounds several times over the last three years, and again on the weekend of 8/12/16. On our first visit, Becky & I were invited to take the ghost tour. We also spent that night in the legendary haunted cabin 13, the “Macbeth” cabin. We ran EVP sessions in the cabin, the bathhouse, the Cemetery, a small tunnel and an old well on the property. We came away with little evidence of a haunting, but found the Castle and the history of the property very interesting. On this last trip we ran several EVP sessions in the cemetery focusing on Sarah and Samantha Carnegie; they were a mother and daughter that had passed away in March and April of 1852, Sarah was 34 years old at the time and her daughter Samantha was eight years old. We suspect that they may have died from some sort of illness; possibly the same illness since the deaths were only a couple of weeks apart. There were gifts left at the grave site, hand colored pictures of unicorns, drawings, and several dollars in change lying on the head stone. While filming a short video of our visit we captured a strange abnormality on our RCA hand held camera. Becky was standing in front of Samantha and Sarah’s headstone while talking about a third woman named Elizabeth who was also buried in the cemetery; she has reportedly been seen walking there at night. The mist was captured after I panned the camera in the direction of her gravesite. Could she be the unexplained mist figure passing in front of the camera lens at the 47 second mark of this video? Or is it Sarah and her daughter? We have been unable to attribute the mist to smoke or any type of lens flare or light abnormality. TOGHS visited this old abandoned home on our way to the Moonville Tunnel. It sits on the side of the road outside of Zaleski State forest. Nothing paranormal to report, But would you stay the night here? Quietly nestled within Lake Hope State Park are the remains of an old iron furnace. The crumbling walls of the furnace are evidence to the structure having long been out of service. But still stories abound of a lonely watchman who still shows up for work on dark, stormy evenings. Simply standing in front of the Lake Hope Furnace brings back images of times long since past. The furnace was in operation from 1854 until sometime in 1874 during a time when the Industrial Revolution was in full swing. A quick survey of local maps from this time period show an abundance of these types of furnaces, as well as many small towns that sprung up nearby. As time went by, however, these furnaces become obsolete and were closed down, turning the surrounding towns into ghost towns. However, the area is still rich with stories of the spirits of workers who never abandoned their posts (see Moonville Tunnel). Legend has it that one of these workers still makes his rounds at the Lake Hope Furnace. The purpose of the Lake Hope Furnace was to process the iron ore that was gathered from the area’s sandstone bedrock. The furnace operated 24-hours a day and records show that at the height of its operation, the Lake Hope Furnace was churning out close to 15 tons of cast iron a day. In order to ensure the furnace continued operating at night, watchmen were employed to tend the furnace fires. These watchmen were also responsible for keeping an eye on the engine house and to also protect against people falling into the furnace. It is said that at night, these watchmen would light lanterns to aid them in making their rounds, which often took them up along a platform at the top of the furnace. Regarding the fateful night in question, there are several versions of what actually happened. One version says that the night was particularly rainy and stormy. The watchman, while walking along the platform with his lantern, slipped in the darkness and fell into the bubbling ore inside the furnace. Another version has the man being frightened by a bolt of lightning, causing him to fall. But perhaps the best-known version of the story, and the most romanticized, has the worker battling his way through a fierce storm in order to make his rounds. The watchman refused to be kept from his rounds and wouldn’t wait for the impending storm to pass over. As he made his rounds, lightning flashed around him, creeping closer with each strike. As the story goes, the watchman was finally struck by a bolt of lightning and then fell into the furnace. While it is impossible to determine if the man was killed by the bolt of lightning or the ensuing fall, all concerned agree that not even death has been able to keep this watchman from making his rounds. Toledo Ohio Ghost Hunters Society will be taking guests to the Mansfield reformatory (site of the filming of Shawshank Redemption, and featured on the hit TV show Ghost Hunters) on April 19th. Doors to the prison open at 7pm on June 5th, and we will have the ENTIRE property to ourselves for the whole night (with the exception of areas marked with caution tape), until 5AM June 6th! Dinner and Beverages will be provided, along with a short seminar about types of hauntings and safe ghost hunting, as well as a guided tour before lights out. Once Lights Out occurs, you will be paired with one or our seasoned investigators to go out into the dark prison and investigate. No need to bring any equipment, unless you would like to! You will be able to see a wide range of our professional equipment in use, as well as experience using them yourself! The equipment available will include the Full Spectrum Camera, Night Vision Cameras, Real time EVP machines, EM Pump, Ovilus word bank, and more (subject to change)! Tickets are limited to ensure that everyone gets a personalizes experience. We anticipate selling out quickly, so get your tickets early or risk missing this fantastic experience! TOGHS took this case in 2015. The original home is not really old from a history perspective. Therefore we did not find much information while doing the research. Although the home sits on a very large piece of land it also sits in total darkness after sunset. I’m sure at one time it was farmland. 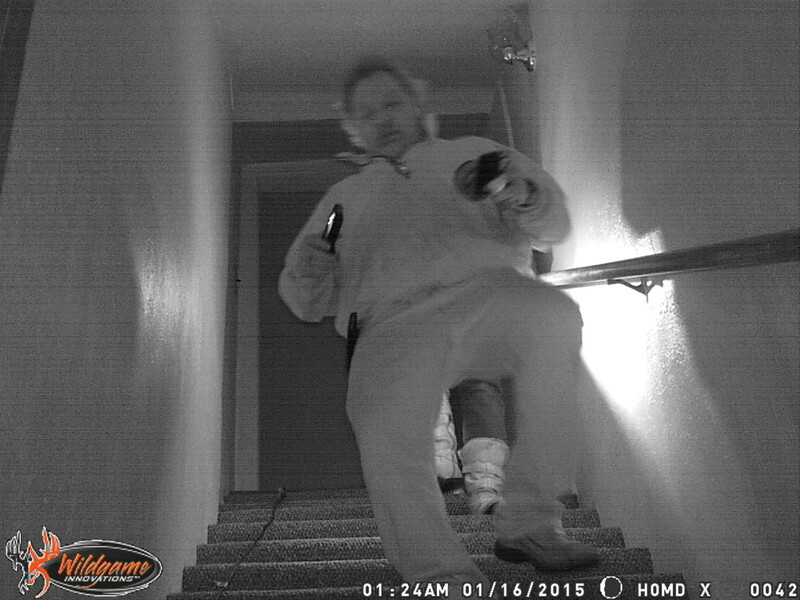 While interviewing our client Tom in regard to the reported paranormal activity in the home, we were told claims of voices being heard, music playing, pans falling off the ceiling racks and even a shadowy type of figure. The home seemed very warm & friendly to me. The kind of home that anyone would like to grow up living in, away from the city, but not too far away from local necessities. As we continued to sit with Tom while he shared his own paranormal experiences within the home, we were introduced to woman who also lived in the home years before as a child into her late teens. (We will call her Pam to protect her privacy). Pam was a very pleasant woman but seemed somewhat upset and maybe even a little afraid to be back in the home. After our interview with Tom was complete, we had the opportunity to talk with Pam about her experiences growing up in the home. She had a much darker side of the home and her childhood growing up in the home. Pam shared her horrible stories of abuse, some emotional, some physical as well as claims of child molestation. Pam also shared with us some of the things she witnessed in the home that would definitely be considered paranormal. Sometimes I wonder, is it the living or the dead that we should fear more? She also described some of the same activity, voices, music playing, objects being moved from place to place, and the same shadow figure that Tom has seen. Pam seemed to think that there could very well be two separate entities in the home, one being good the other darker and more negative in nature. TOGHS set up our investigation time and asked Pam to join us for this particular investigation, not using her as a trigger object but to help identify any entity that she may have known from her past. As we investigated late into the evening through sessions one and two, covering the cellar and entire first and second floors, we didn’t feel as though we were capturing anything of the paranormal realm and the home seemed quite. We had taken a couple hundred photos and recorded both sessions using digital audio recorders as well as full spectrum video. We decided to finish our investigation by holding session three in the upstairs bedroom where Pam had slept as a child. We also invited Tom and Pam to joins us for this last session. We used some of our common equipment to document this session, Camera’s, audio & video recorders, EMF meters etc. As a way to capture and document more evidence we decided to also use the Ovilus III for this particular session as well. Sometimes you’re very good doing EVP sessions, sometimes you’re very lucky. This time we were both, during our last session were introduced to Tom’s Dad and his Brother that had passed away, they both spoke through the Ovilus III, even sharing their names. They also told us they were trying to keep the home safe of unwanted entities and to protect Tom and his Family. When we asked if anyone else was in the home and knew of it’s dark past, The Ovilus III spoke three words in succession, Beat – The – Girl. We may never know who might have spoken these horrible words from years past, was it the shadow figure? Was it Tom’s Dad or Brother? Was it just negative energy that had absorbed into the walls of Pam’s old bedroom? As our communication with our unseen guest faded to silence. We thanked them for sharing some time with us and for showing themselves through the Ovilus III. We were left with several thoughts, Tom had communicated with his deceased Father and Brother, and someone had knowledge of the abuse that was taking place in the home years past. This case also gave Pam an opportunity to come back to her childhood home and face the dark energy giving her the chance to heal and try to move past it. We continue to speak with Tom on occasions, He feels completely comfortable in his home, He stills witnesses some paranormal activity from time to time, but also feels comfort knowing his Family is there watching over him also. One room in particular at the Oliver House is said to be haunted: the Pool Room. A ghost called “The Captain” has been seen here in full uniform. He also appears in a certain hallway. During renovation the ghosts were particularly active. And it turns out Oliver House was built on top of that old favorite, an Indian burial ground. The Oliver House. This is oldest building in the downtown Toledo, which has been beautifully restored and revitalized to be economically viable; able to raise monies needed for its upkeep and to make a profit. After 40 years as serving as a hotel, the building was past its prime, and was sold to a new owner who turned the building into a rooming house in 1900. In its 20th century existence, this building also became home to a factory, probably during World War 2, commercial and office space, and a coffee shop. Sometime during its existence, it also became a flop house, probably during the depression years. During the 1980s, part of the building was used as a studio for bands. In the early 1990s, Michigan transplants James and Patricia Appold fell in love with this now woe-be-gone fixer upper opportunity. They spent the money to not only restore this historic building’s architecture and décor, but also in renovating its structure into a place for businesses and living spaces which put the building effectively to work. The Oliver House building was converted into apartment lofts, meeting rooms, restaurants, pubs and Maumee Bay Brewing Company, located on the second floor, and in the basement. The land upon which the hotel was built was an Indian burial ground. An addition which was added in 1965 was built on top of the bones of an Indian warrior chief, whose grave was inadvertently dug up by a construction crew. They simply reburied the bones and went about their business. When current owners bought the building, they tore down the addition to make way for a new renovation project, the bones were again discovered. They called in the local Indian authorities who did a sage and tobacco ceremony to calm the spirit. This building was the dream child of an enterprising sea captain, who built this high class hotel for the elite and business classes, putting his heart and soul into this enterprise. Guess who was delighted in the renewal and renovation of his building in the 1990s? During the Spanish American War, wounded soldiers were brought by train and either recuperated or died in the Oliver House Hotel’s second floor rooms, which were turned into a hospital of sorts. The basement may have been the make-shift morgue. For a short period of time, perhaps during The Great Depression, the hotel had hit rock bottom, becoming a flop house which had plenty of drama, perhaps including a murder or two. Renovation and restoration can sure stir up the spirits in a building. The entities first became really active when the Appolds began to renovate and restore this grand building. The entities made their presences known to the living. The entity known as the Captain — Is described as a benign, jovial spirit who is happy with the results of the renovation, and probably enjoyed a good beer while alive. A psychic who had an office in the building, would have to go down the staircase to the dark, creepy basement to use the bathroom. One day, he saw the transparent, stocky entity of the Captain in the hallway near the stairwell (now an elevator shaft), who seemed pleasantly surprised that the psychic could see him. After that, the psychic felt a protecting presence whenever he had to use the facilities. The Private Dining Room — formerly the lobby of The Oliver House. The good-natured Captain likes to hang out in the old lobby area, checking out his guests and the servers, who work in this area. The floor boards creak under the weight of an unseen presence. Doors open and close by themselves. They also become stuck for no apparent reason. People get chills and feel cold spots in this room. People feel an unseen presence watching them. The Pool Room — Located in the Basement. During the first few years that the Appolds opened up the pub-restaurant, their daughter and son-in-law helped to run the business. When the daughter was in the private dining room, she heard a cheery disembodied voice calling her name, coming from the half-finished pool room, located directly below the private dining room area. The living has reported seeing the Captain, dressed in his full uniform, enjoying the game of pool being played. The Staircase: Traditionally, a favorite way to get chuckles at the expense of the living! The entity of a lady — she could be from any period of time, but most likely during the building’s earlier history because she was wearing mid to late 19th century/early 20th century attire. Dressed in a long green dress, she was seen coming down the steps of the second floor staircase, scaring a delivery boy’s socks off! Footsteps of an unseen male presence — perhaps this is an entity of a soldier who had died in the building. A brick layer, while working on the building during the 1990s renovation effort, fixed up an apartment in one of the units, where he could stay during this work endeavor. When going up the various staircases to get to his room one evening, he heard the heavy footsteps of an unseen male presence following up after him, which would stop when he stopped and continued when he did. He made a hasty bee-line into the apartment. Perhaps this is an entity of a soldier who had died in the building, checking him out, in need of some chuckles! Basement — Psychic Chris Woodward felt a lot of uneasy, unhappy energy here, left over from some traumatic experiences of the past, which could of come from disgruntled Indian spirits, soldiers, or the flop house experiences.